Character Bucket List: Nesy from DOMINUS by Christine Fonseca plus THE GIRL GUIDE Giveaway! 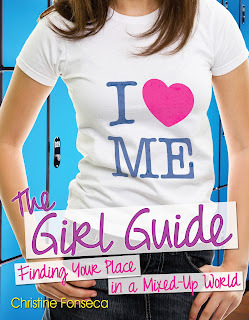 6 Character Bucket List: Nesy from DOMINUS by Christine Fonseca plus THE GIRL GUIDE Giveaway! We are thrilled to have Christine Fonseca back on the blog today! Not only does Christine write great YA novels, but she also writes non-fiction. We have a copy of her forthcoming non-fiction book for teen girls, The Girl Guide. Enter at the bottom of the post for a chance to win! I am thrilled to be back with my buddies at Adventures in YA Publishing, bringing you a little glimpse into the heart, and mind, of the main character of Dominus, Nesy. Dominus is the final book in the Requiem Series. 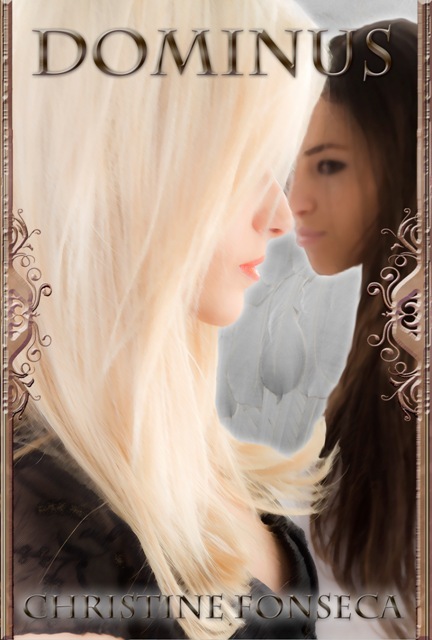 Told from dual points of view (Nesy and Lilith), this story brings more action, more romance, and more betrayal as the story of Aydan and Nesy wind to an end. • In Lacrimosa (book #1), we are introduced to Nesayiel, a fierce Sentinal, the warriors of Celestium. Her sole purpose is the vanquishing of the UnHoly. • In Libera Me (book #2), we are introduced to Nessa, the probably mortal incarnation of Nesy. She is scared, afraid of who she really may be. • In Dominus, we are introduced to Nesy, the Seer. Gifted with the ability to see demons and angels, Nesy wants nothing more than to give that gift away and disappear into humanity. As a Sentinal, one of the warriors of Celestium, my bucket list is simple: I want to see the realms free from the likes of Azzaziel and his followers. That is my bucket list, plain and simple. Life isn’t anything I thought it would be. One boy tells me I am, or was, a warrior. He tells me he loves me. An angel no one else can see tells me I am angelic. He loves me too. The truth is, I don’t know what I am – or who. For me, I want to know what I am. I want my memories back. That is all I want. I don’t need to “do” anything, or “go” anywhere before I die. I just need to know who and really am. My memories are back. My love is gone. I have nothing now. I just want to be completely human. Not a Seer, not angelic or demonic. Just human. What’s on my bucket list? Getting out of this place, leaving the wars behind and living out my days as human. Only human. There you go – the changing characterization of Nesy. What will her life really entail? Will her bucket list change again? Doesn’t it always? Critically acclaimed nonfiction and YA author Christine Fonseca is dedicated to helping children of all ages find their voice in the world. 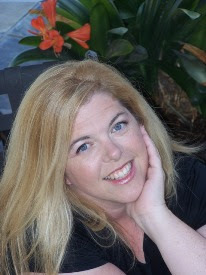 Her titles include the YA Gothic Romance Lacrimosa, the YA thriller, Transcend, parenting guide, Emotional Intensity in Gifted Students, and the anticipated book for teen girls, The Girl Guide, releasing May 14, 2013. In addition to The Girl Guide, Christine will be releasing Dominus (Requiem #3) in June 2013, and Quiet Kids, a parenting book for parents of introverted children, in October 2013. “Each character's decisions, each twist of fate has led to this - a time when confusion reigns supreme, when up is down and down is up. And when the fate of humanity rests in the balance. In this final installment, the decisions of the past have come back to haunt the future, and the fate of Nesy and Aydan, Zane and Cass, Celestium and Infernum, hang in the balance. The only question is, who will survive. This story is filled with anguish and betrayal, love and sacrifice, as I bring the series to an end. It's a story that has been part of my life for many years. Saying "goodbye" to these characters will be a profound experience for me. Girl GUide sounds like a good book for young girls today. Add my name to the giveaway, thanks! I want all of these books. They all sound good. Thanks for the awesome giveaway. The Girl Guide sounds like a nice book to have in my classroom library. Thanks for the giveaway!